Looking for a reliable Jackson and Herrin-Gear INFINITI source? 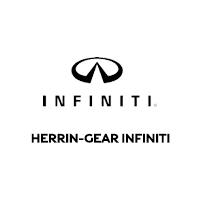 Your search will come to an end with Herrin-Gear INFINITI. Monroe and Hattiesburg drivers are also invited to our showroom to explore our impressive selection of new vehicles. Are you looking for a new Q70? Have you checked out the latest QX50? Or would you like to rule the road with the stunning QX80? Perhaps a new or certified pre-owned vehicle is what you need. Clinton, Byram and Meridian customers are sure to get whichever vehicle they are looking for, from this make. Ridgeland INFINITI enthusiasts can contact our sales department to learn more. Herrin-Gear INFINITI’s service department is equipped with the latest diagnostic tools. Our expert technicians ensure that your vehicle always runs like new. We also have an impressive stock of genuine parts. If we don’t have the one you are looking for, we will find it for you. Feel free to schedule a service appointment at the time that is best for you. Contact the staff at your Madison INFINITI dealer alternative at (855) 242-7704, if you have questions. Herrin-Gear INFINITI owners can be assured that our technicians will ensure that their vehicle gets back on the road as quickly as possible and in great condition.